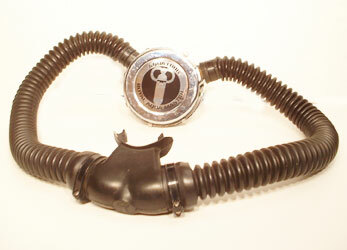 #SDVS - Sport Divers vintage style mask, black silicone body with chrome frame. Tempered glass, no purge valve. Brand new. Price $40.00. On sale now! Sale Price $35.00. they are not that noticable and it works great. Price $80.00. 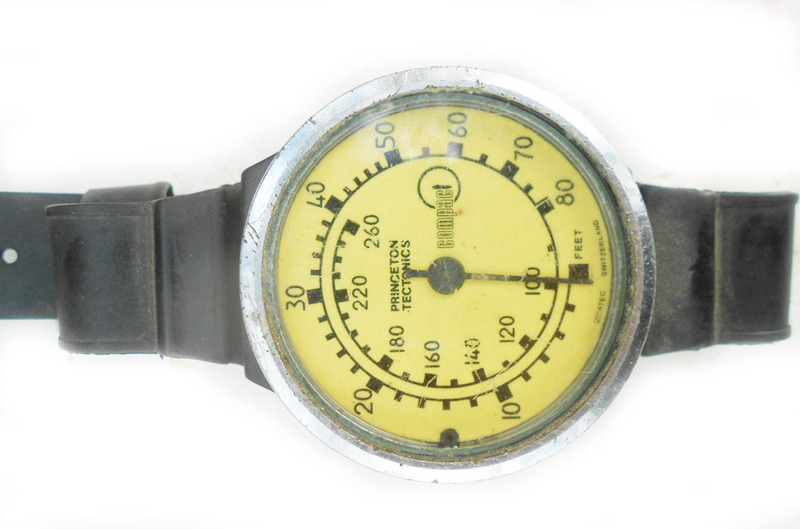 Scubapro Helium Filled, 0-500 feet Wrist Depth Gauge. One of the finest ever made. Shows wear but still works great. Price $40.00. "U.S. 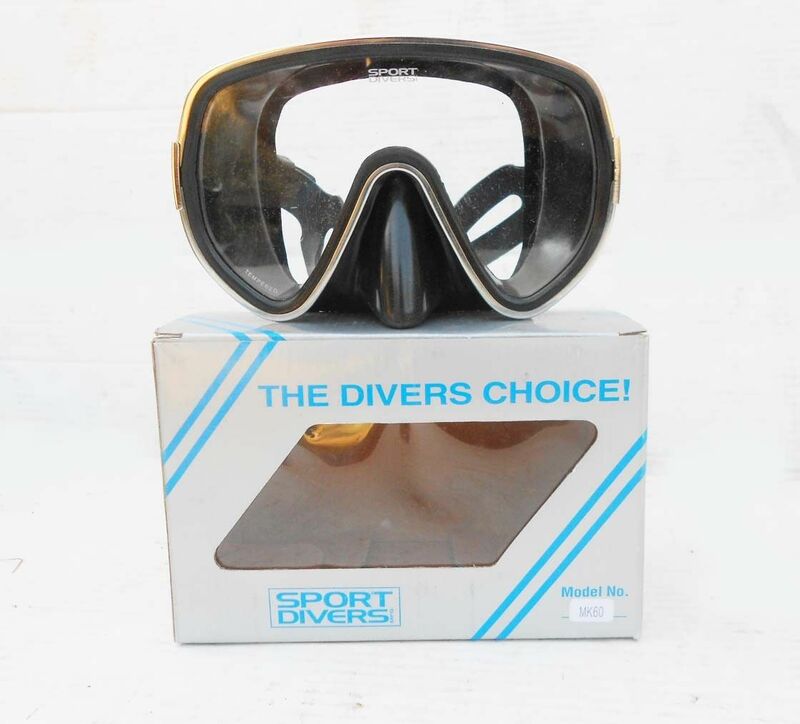 Divers Co". Price $40.00. 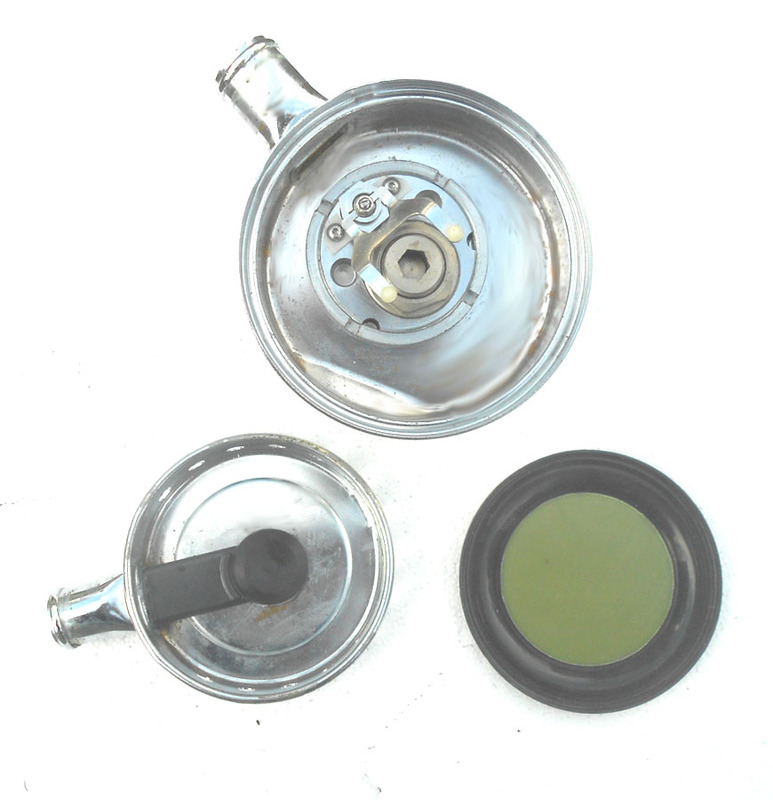 mouthpiece valves. Label has a few paint chips but looks good. Chrome is decent. Rebuilt and ready to use. 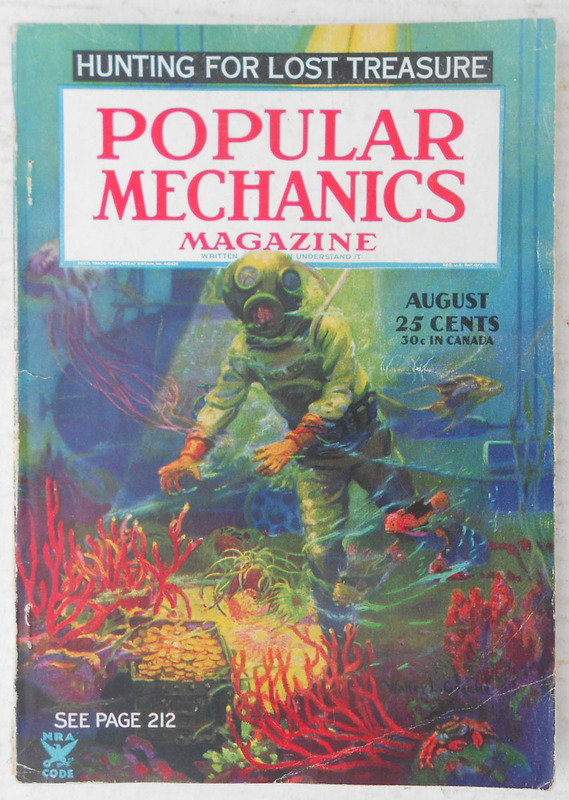 #PM834 - Popular Mechanics, August 1934. Cover story and photo is "Hunting for Lost Treasure" and a includes a 5 page article with lots of color photos. Excellent copy with clean white pages and NO mailing label. Price $40.00. #DV11 Dive Magazine. Premier issue- Volume One, Number One from October 1967. 57 pages, with articles and some great ads. Cover shows wear but inside pages are nice. Very hard to find. Price $35.00. #USN58 - U.S. Navy Diving Manual (NAVSHIPS 250-538), January 1959. Several hundred pages, loaded with actual photos, charts and drawings. 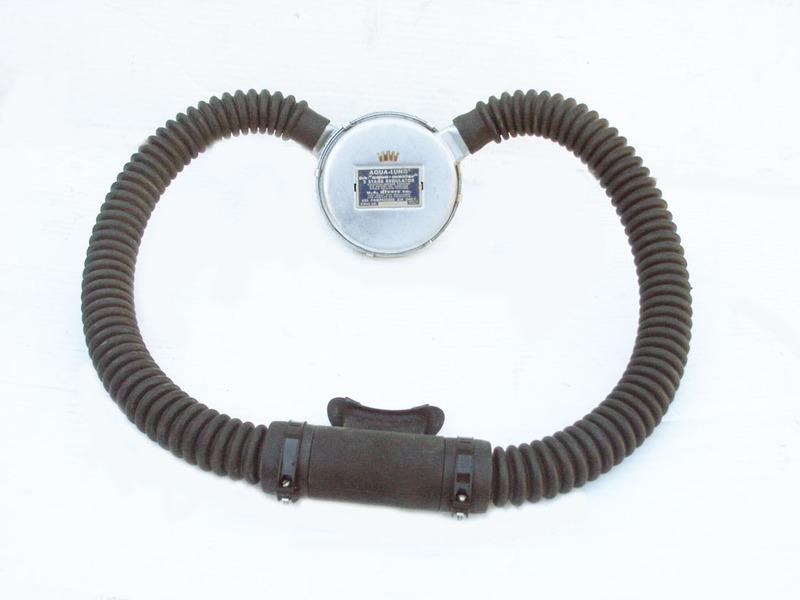 Covers deep sea diving (Mark V), open circuit scuba (Scott Hydro-Pak, USD AquaMaster), closed circuit rebreathers (Laru, Pirelli Model LS-901 and Draeger Model Lt. Lund II) and much more. 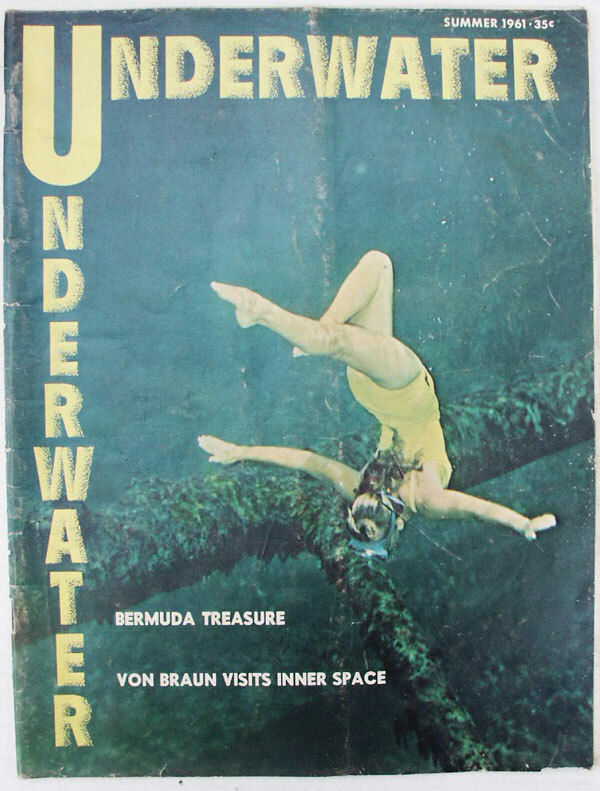 Dive shop name and address neatly stamped on cover, otherwise manual is in excellent condition. Getting hard to find. Price $65.00. #UW612 -Underwater Summer 1961. Premier issue- Volume One, Number One. 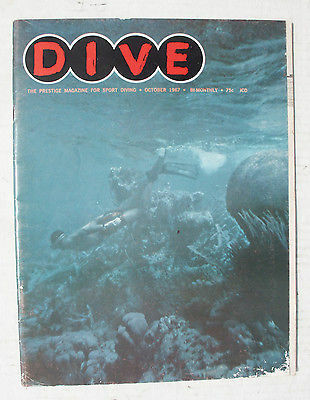 Short lived knock off of Skin Diver magazine with 57 pages, articles, black and white and color photos. One full page ad for Mercury outboards includes . 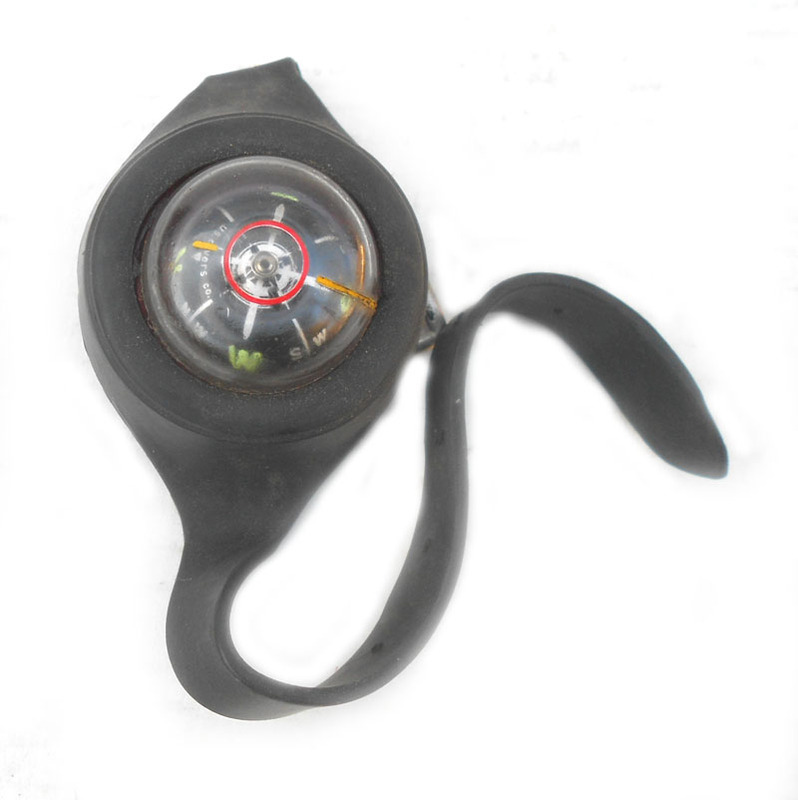 Cover shows wear but overall in good condition. Very hard to find. Price $40.00. 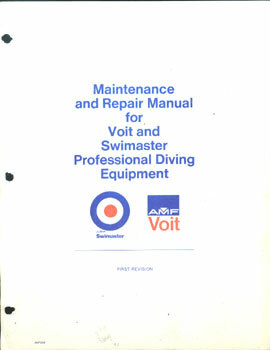 #VSMRM - 1970's Service manual for AMF Voit & Swimaster Professional Diving Equipment Repair Manual. Original dealer shop manual in 3 ring binder. 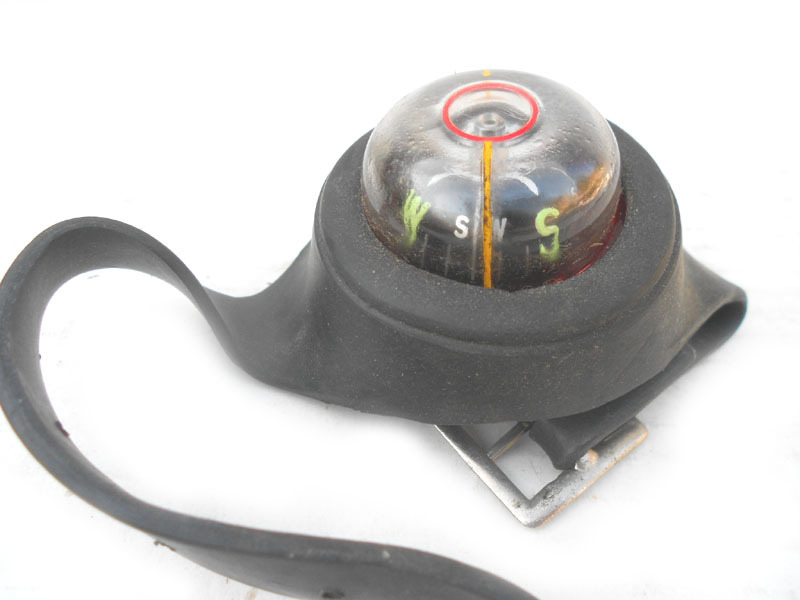 Covers the complete overhaul of many of the 1970's Voit regulators including the Trieste, MR12, Titan II, Dolphin and some tank valves. Many fold out, exploded view drawings. Price $75.00. #RM-SP62. 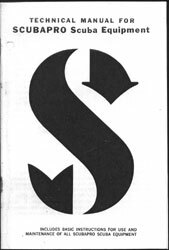 1962 Technical manual for ScubaPro Scuba Equipment. 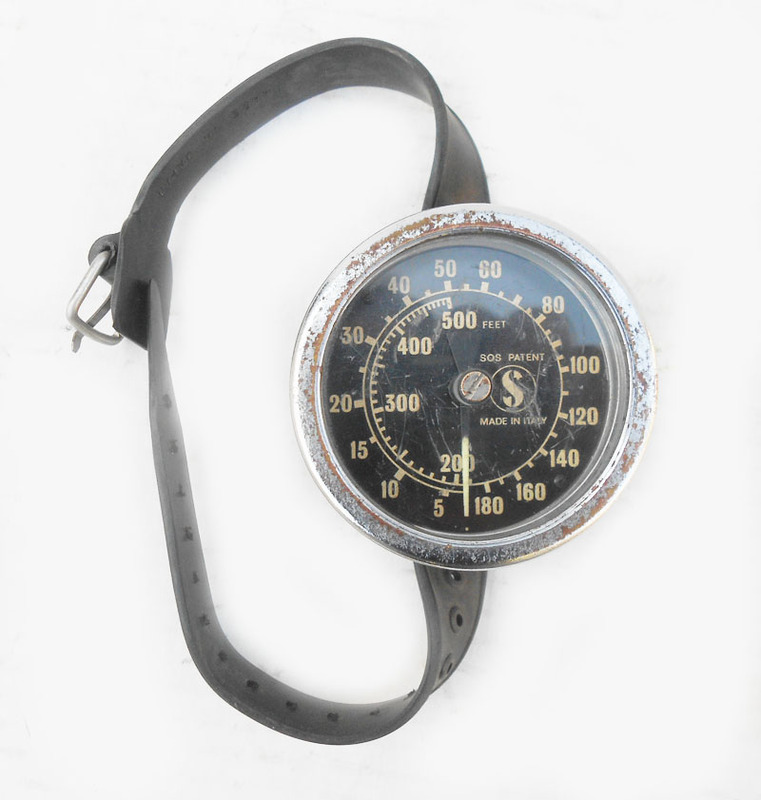 This is the first year for Scubapro and all the items in this manual are Healthways as Scubapro had not yet developed their own products. Many of the pages are indentical to the 1962 Healthways manual. 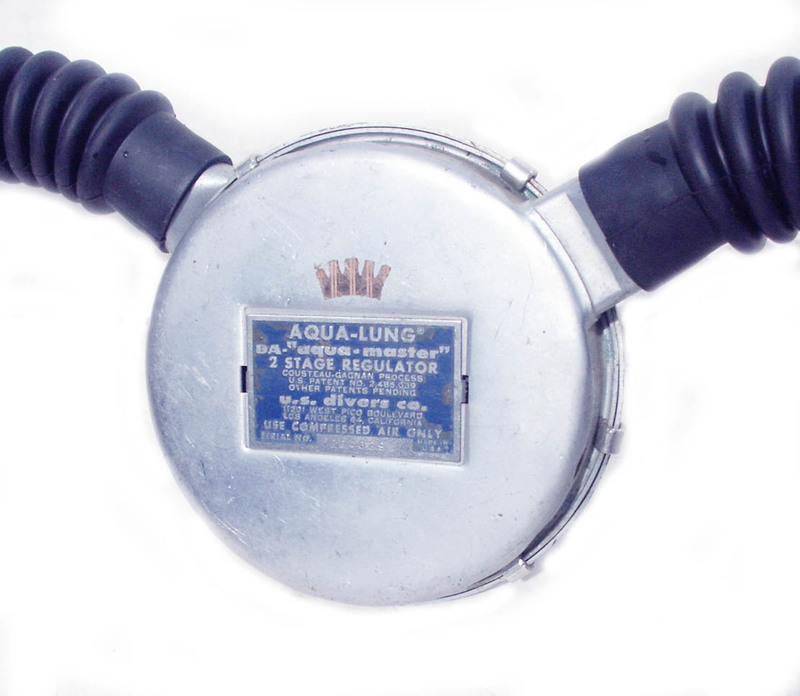 Includes basic instructions for use and maintenance of all Healthways scuba equipment. 31 page xerox reproduction, folded and stapled just like the original. 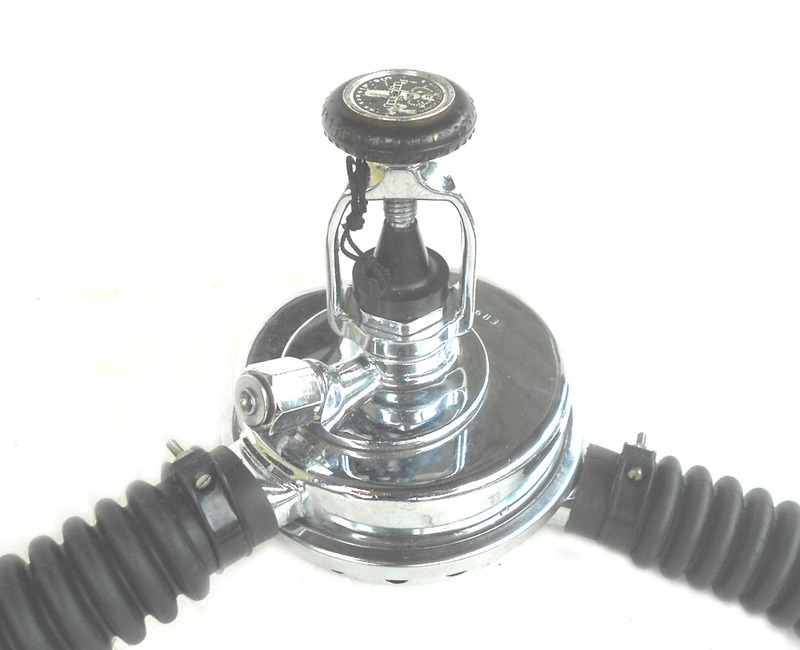 Includes single hose repair with trouble shooting and exploded view drawings. 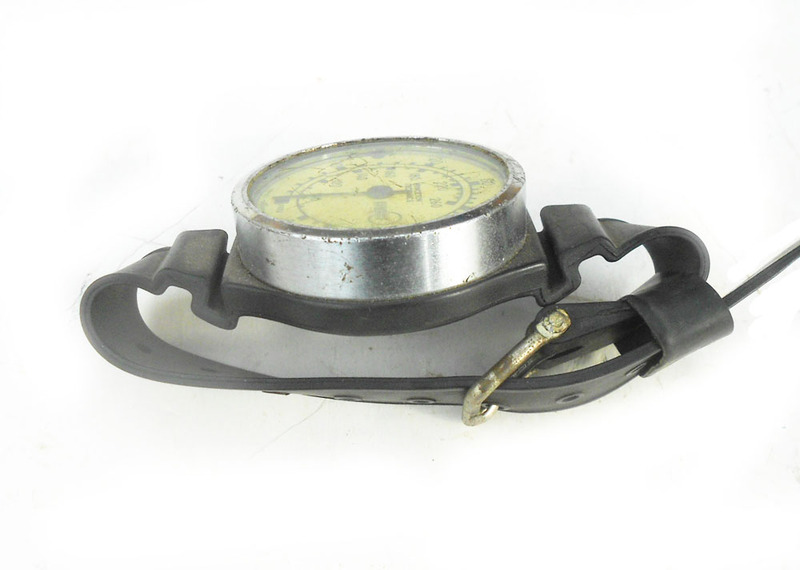 Price $17.00. Ordering Information: Because we have to figure shipping individually for different items, most of our site is not automated. Email for specific information on any item. We will quote shipping and provide details on how to order and pay using your credit card, check, or money order. All vintage items sold as is, as described.